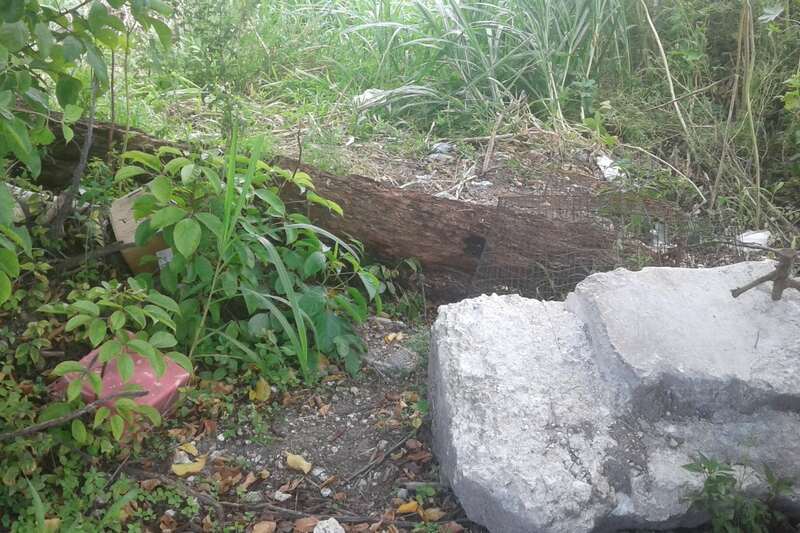 Georgina Milhet was enjoying a leisurely horseback ride in Miami, Florida when she saw a terrible sight. She turned down a dirt road when she spotted a rickety chicken wire chicken cage. But there wasn’t a chicken inside, it was a scared injured dog. 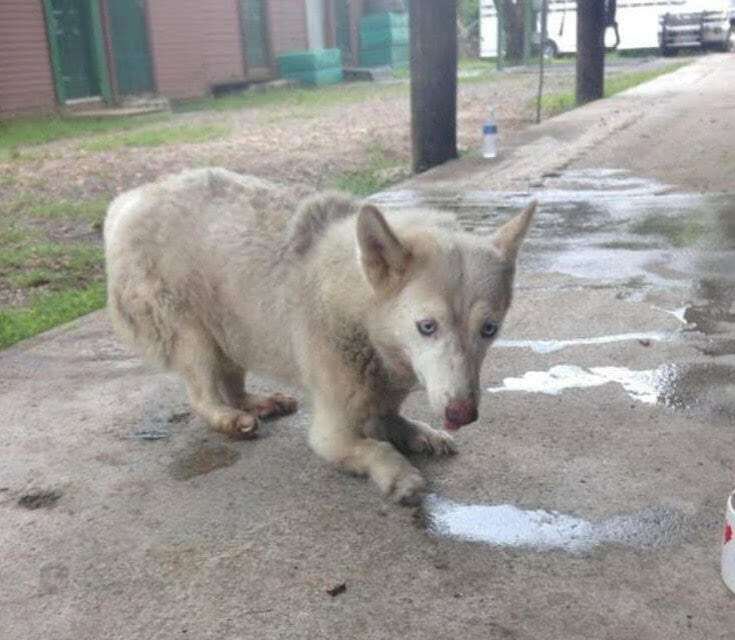 After drinking her water, the fox-like husky tried to crawl out of the cage. Milhet noticed the poor pup was dragging her stomach, so she had to help the dog out. The dog was covered in cuts and scabs. She was bloodied in places and her legs were bent and twisted and appeared to be broken. Milhet was absolutely heartbroken. 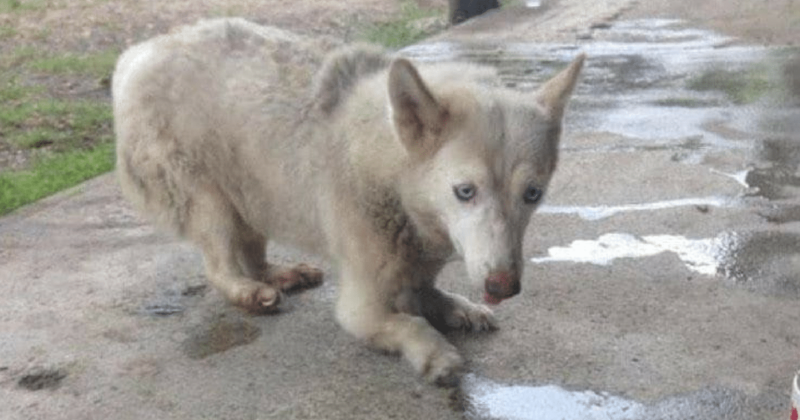 The level of neglect and abuse that this dog endured was just astonishing to Milhet. Despite being in pain, the sweet little dog’s tail was wagging the whole time. Milhet put the dog on the back of her horse and brought her home. She named the dog Lucky, gave her a bath, and started to cut away her matted fur. 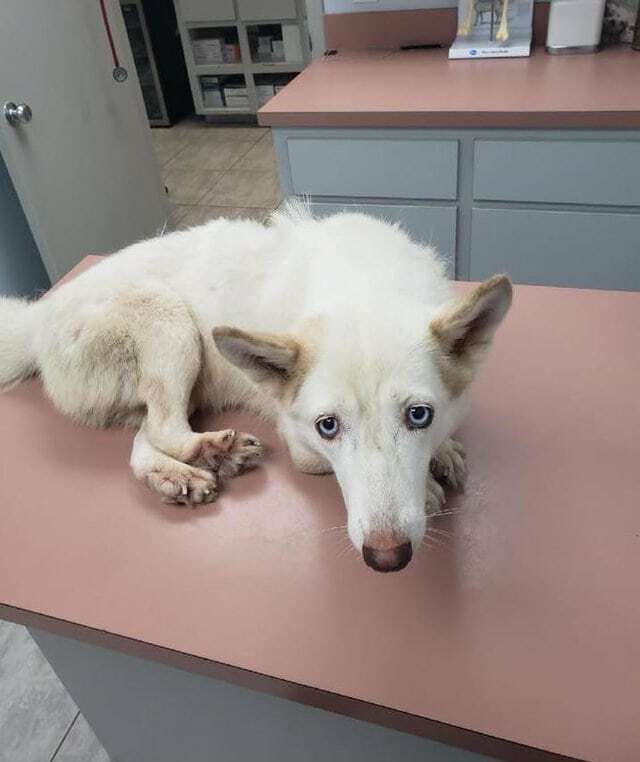 GTS Husky Rescue, a local animal rescue group, heard about Lucky’s story on social media and brought the dog to a veterinary clinic to receive medical attention. It was determined that Lucky was between 2 and 3-years-old. She had likely been on her own for some time without regular meals. 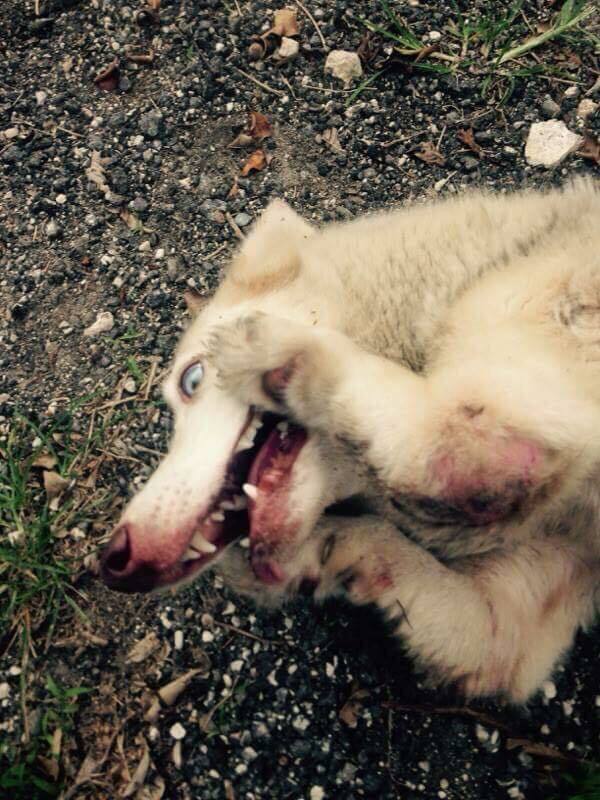 Even GTS Husky Rescue was shocked to see the condition Lucky was found in. Doctors aren’t really sure how Lucky’s legs became so crooked. Lucky’s condition is so severe that doctors won’t even perform surgery since it would require too many painful procedures. But there is hope for Lucky. Once she heals up, she will receive four special prosthetics. They will be tailored to fit her way of walking. Once she gets them, Lucky will be able to walk and even run and play with her new prosthetics. 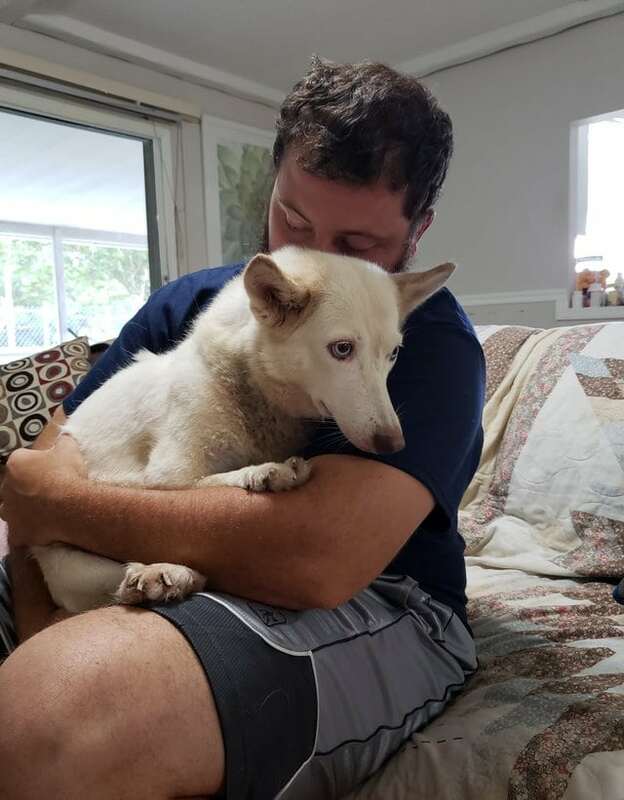 Until then, Lucky is receiving all the love and care she could get from the crew at the GTS Husky Ranch. Lucky loves all the attention she gets from staff and being carried around like a baby. “She likes the dog bed, now that she’s got one. 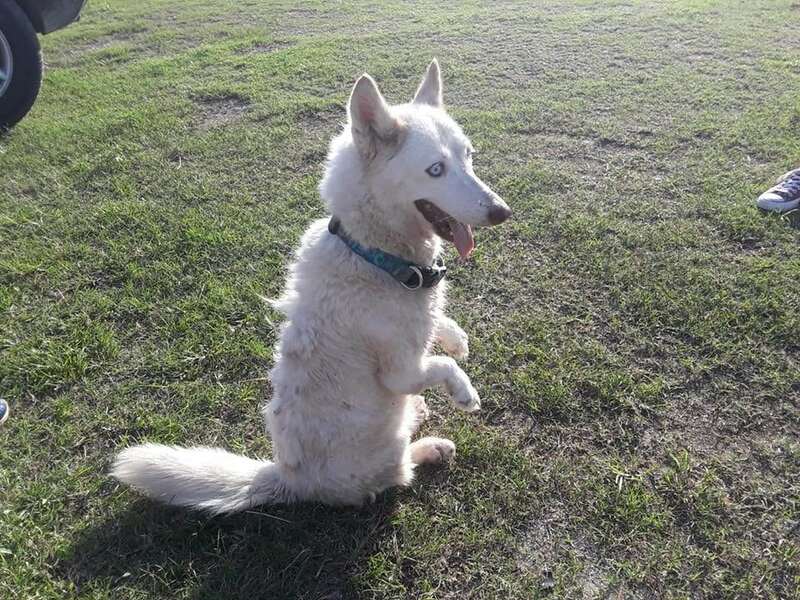 But she just likes to sit next to you and be petted all the time,” said GTS Husky Rescue volunteer Cory Shaver. Lucky is living the good life now and things will get even better for her when she gets her prosthetics. After that, she’ll be put up for adoption and will find her forever home where she can be happy for the rest of her days. You can help make a donation for Lucky to get her prosthetics by making a donation here.